This is a bottle that came well-recommended by the bearded fellow working at the liquor store the day I picked this up. I figured, who better to trust than the guy with the full beard working at the liquor store. Even afterwards I researched this Scotch a bit on the internet before I got a chance to open it, and the reviews were promising. I was very eager to get home and try this one out that evening. I was tempted by "honeyed vanilla, caramel custard, and mouth-coating maltiness," as I had read in one review. 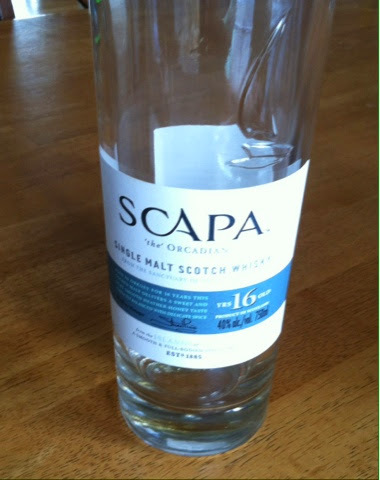 It sounded like everything I love in a good Scotch. Perhaps I set the bar too high, maybe hyped it up a bit in my mind. But, this one just did not live up to its billing. I expected this to be a bit subtle, but very drinkable, with a warm, sweet finish. What I found, however, was that it had more burn than expected, and that it generally lacked in the subtle flavors I had hoped to enjoy. I did not taste any vanilla, nor any honey, nor much sweetness at all, whether at the tip of my tongue or the back of my throat. Rather, it came across as bitter and, quite frankly, of similar quality to far cheaper Scotches. I actually struggled to finish this bottle, drinking it occasionally here and there almost as a matter of necessity, as though I was going to have to finish the bottle eventually anyway, so I might as well get it over. Ultimately, for the price, there is better whisky to be had. As I worked my way through this bottle, rather than enjoy it, I was instead looking forward to whatever was next up for me to try.